Our EP launch for 'Snow City Radio' was an amazing night, thanks so much to everyone who came along and especially to We Walk On Ice and Keston Cobblers' Club for playing, and playing so well. The room was crammed and it was very hot! We finished the night by inviting Keston Cobblers' Club back on stage to play a couple more songs, one of which was our tune 'The Flood' - so here it is with ten of us on stage playing it together - it was quite something! 21/11/11 : Snow City Radio - available now! 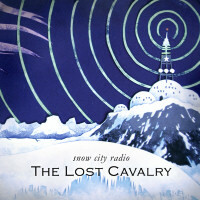 Our second EP 'Snow City Radio' is now available! You can buy it digitally and also on limited edition CD digipak with wonderful arctic artwork once again by Toby Atkins. The tracks on the EP are - Snow City Radio, Desert Tracks, The Tower and The Flood. We hope that you like it! And don't forget, we're playing a special launch week gig at St Margarets House, Bethnal Green on Friday with Keston Cobblers' Club and We Walk On Ice. UPDATE! : I was asked by tech blog Wirefresh to write some words about how I went about making the video - you can read it here: www.wirefresh.com/heres-how-to-make-a-fantastic-professional-music-video-for-under-50-80. Our new EP 'Snow City Radio' will be released on the 21st Nov 2011 - it features four songs we have been working on for a while and are very proud of. 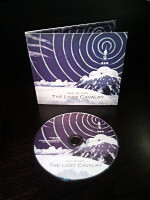 The EP will be available on CD limited edition digipak and as a digital download - the perfect Christmas present! :-) You can have a listen to the whole EP right here... hope you like it!